JACK 3, a brand new local radio station for Oxfordshire, launches on Friday 12 May at 9am. JACK 3 will be available across Oxfordshire on DAB and online plus via UK Radioplayer and the new JACK 3 app. 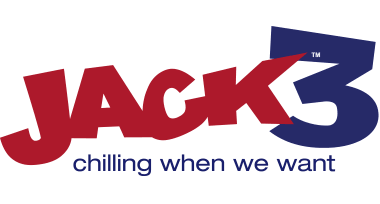 The latest station in the hugely popular JACK family, JACK 3 will bring Oxfordshire’s listeners ‘stress free’ music to chill and relax to, playing an eclectic mix of familiar songs and artists spanning the last 6 decades. JACK 3 promises to be a radio station with a huge personality playing much-loved artists including Neil Diamond, Elvis Presley, Linda Ronstadt, The Carpenters, Norah Jones, Stevie Wonder, Chicago, Roxy Music, Paul Simon, Celine Dion, The Hollies, Enya, Aretha Franklin and Michael Buble, allowing listeners to chill whenever they want, while also delivering local news, traffic and JACKTIVITIES.